Notas dadas pelos hóspedes depois de sua estadia em: Hillhaven Holiday Apartments. 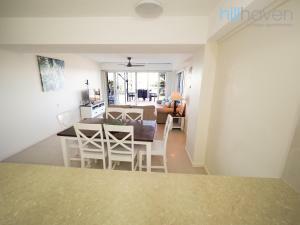 You could not ask for a better location in Burleigh Heads. Overlooking surf and able to see the boys out surfing from our balcony ! 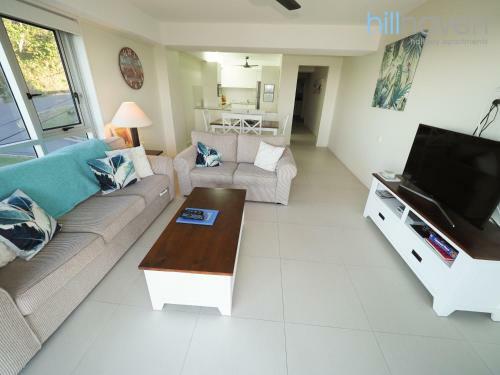 The location with easy access to the beach, National park, shops and restaurants. Also my husband had a surfboard so the bottom unit made it easy for storage outside with no stairs. The view from the apartment was amazing! Very clean, loved having air con too. The view is one of, if not the best on the coast. Location second to none. The management extremely helpful and cheerful. The location is amazing, the apartment was awesome. 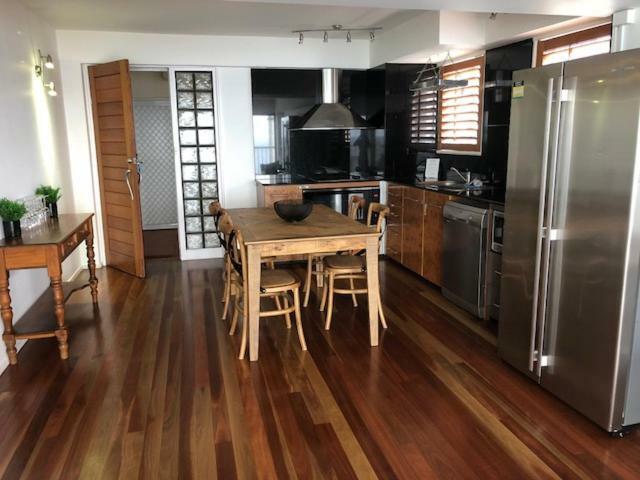 Nicely renovated apartment with outstanding views and located near burleigh’s best restaurants and the beach . Would easily stay here again. Fantastic location! We had a huge balcony (with amazing views) which was really helpful with an active toddler. Easy stroll down to the park/beach/shops! Jeff was really accessible and accommodating which we appreciated. Great spot. Great view. Everythig you needed. Air-con excellent. Nice bedding, Extremely clean. 10/10 Hillhaven. We had a wonderful stay and the view has to be the best on the coast. 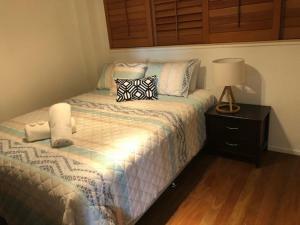 We loved the refurbished apartment and it is right in the heart of Burleigh. The managers were wonderful and friendly...we will be back! Walking distance to all the shops and restaurants so no need to drive at all. 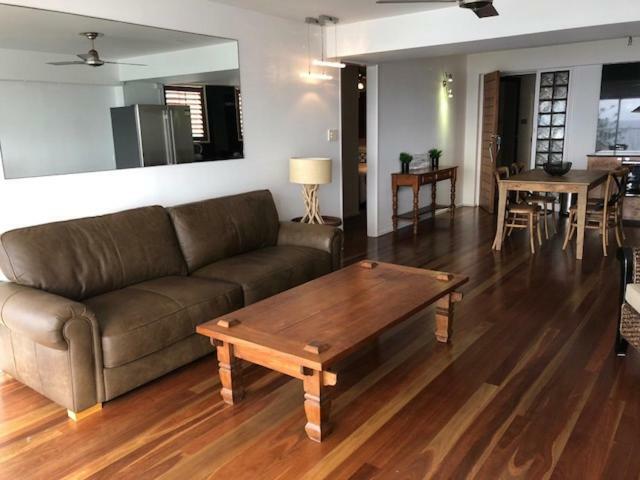 Garanta um preço incrível para Hillhaven Holiday Apartments - avaliado como nota 8,8 pelos hóspedes recentes. O Hillhaven Holiday Apartments oferece apartamentos espaçosos e completos ao lado do Parque Nacional Burleigh Heads. Todos têm varanda privativa com vista para o Oceano Pacífico em direção a Surfers Paradise. Todos os apartamentos incluem cozinha totalmente equipada com micro-ondas, lavanderia completa e TV a cabo digital. Apartamentos com ar-condicionado e uma varanda extra grande estão disponíveis. Todos os apartamentos têm acesso por elevador, e alguns apartamentos foram totalmente reformados. O Wi-Fi está disponível em todos os apartamentos. O estacionamento coberto é gratuito. Localizado em uma rua tranquila sem tráfego de passagem, o Hillhaven Holiday Apartments Burleigh Heads fica a 3 minutos a pé da praia Burleigh Heads e a 15 minutos de carro do Aeroporto de Gold Coast Coolangatta. 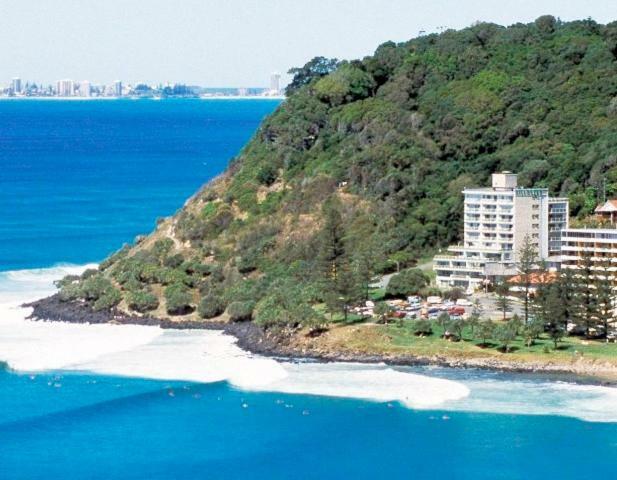 Burleigh Heads é uma ótima escolha para viajantes interessados em temperaturas amenas, praias e praias com faixa de areia. Hillhaven Holiday Apartments tem recebido hóspedes da Booking.com desde 12 de dez. de 2011. Quando você quer se hospedar no(a) Hillhaven Holiday Apartments? 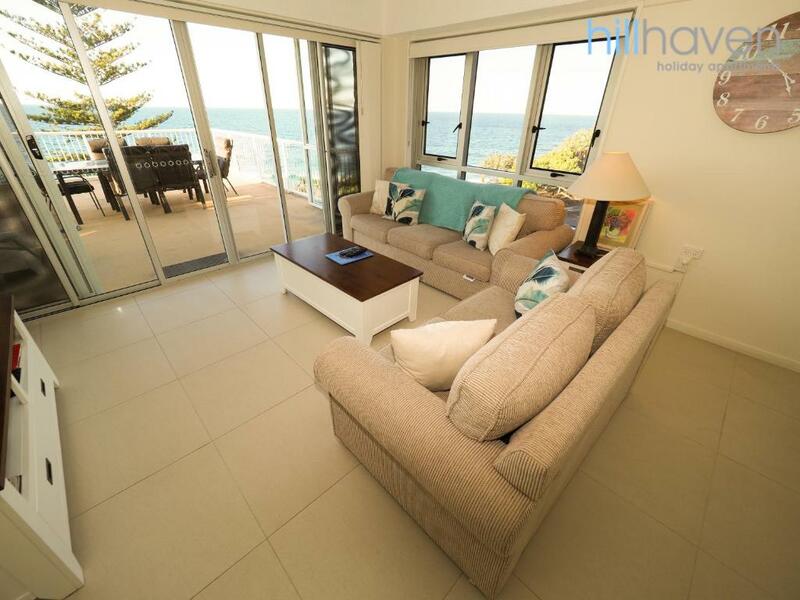 These 3.5-star standard apartments face either north or north-west with views of the ocean. All have fans; air conditioning is not included. These north facing 4-star apartments are located at the front of the building. All have a private balcony with ocean views. Some apartments offer extra large balconies. Air conditioning is not included. These fully refurbished 4-star apartments are north-facing and located on the lower floors. 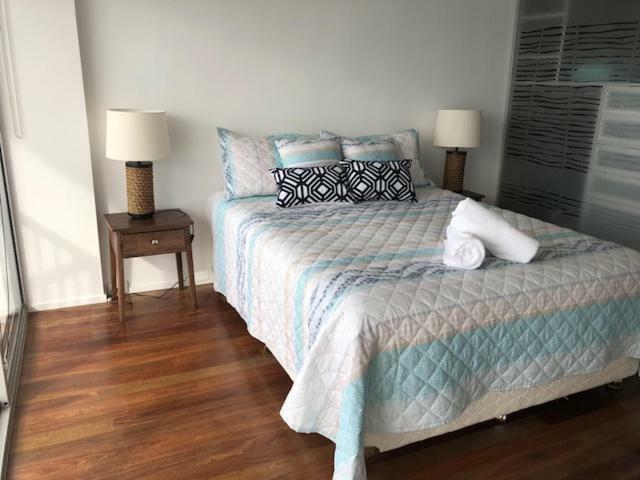 All include LCD TV and a private balcony with ocean views. Some have air conditioning, ceiling fans and an iPod docking station. Estes apartamentos totalmente remodelados de 4 estrelas estão virados para norte e localizados nos pisos superiores. Todos incluem televisão LCD, ventoinhas de tecto e uma varanda privada com vista para o mar. A maioria tem ar condicionado e alguns têm uma base de ligação para iPod. Este apartamento inclui varanda, lava-louças e máquina de lavar roupa. We have the best view on the gold coast. I love fishing, fishing and more fishing. Proximidades da propriedade – Este bairro é uma ótima escolha para viajantes interessados em temperaturas amenas, praias e praias com faixa de areia – Verifique a localização Localização excelente - mostrar o mapa Os hóspedes adoraram caminhar pelo bairro! 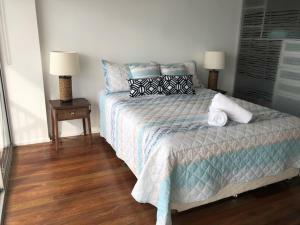 Bom saber Hillhaven Holiday Apartments aceita pedidos especiais - adicione no próximo passo! Todos os outros(as) crianças ou adultos: será cobrado o valor de AUD 35 por diária, por camas extras. Hillhaven Holiday Apartments aceita estes cartões e se reserva o direito de fazer um bloqueio temporário em seu cartão antes da chegada. Por favor, note que os pagamentos efectuados com cartões de crédito American Express estão sujeitos a uma taxa extra de 2%.